I was born in Dorset and have lived and worked in the area for most of my life. After a forty four year commercial career in aerospace, I took early retirement in 2004 to pursue photography and writing. I became interested in photography in the mid 1960’s and in 1967 joined Wimborne Camera Club where as an active member I co-organised photographic teach-ins at Avon Tyrell in the New Forest. These became major events in the UK photographic calendar, attracting many leading photographers of the time. These events later focused on audio-visual productions and brought photographers and audio-visual producers together from the UK and Europe. In 1968 I was commissioned by the advertising department of Agfa Gevaert to photograph the major motor racing events, teams and personalities in the UK. My images were used to promote Agfa’s colour film and have more recently been featured in the pages of Motor Sport magazine and other publications featuring 1960's motor racing. In September 2009 a book 'Out of the Shadows' was published by Halsgrove in which my photographs revealed a stark contrast with today’s clinical Formula 1 scene. Here my images and text re-live the classic duels between Jackie Stewart, Jochen Rindt, Graham Hill and others, reviving the atmosphere of this memorable motor racing era. A selection of my photographs of Jochen Rindt, motor racing's first posthumous World Champion have also been chosen for David Tremayne's book 'Jochen Rindt - Uncrowned King' published by Haynes in September 2010. My audio-visual work has been screened throughout the country and has largely been documentary based. 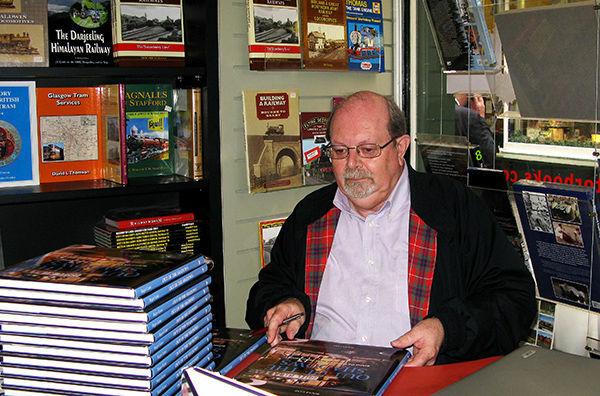 'Steam Dream' featured the work of wildlife artist David Shepherd and his interest in steam railway preservation. This was my first experience of writing and when BBC commentator the late Wynford Vaughan -Thomas agreed to narrate the script it gave me the confidence to continue my writing alongside photography. This led to me producing 'In Pursuit of Nature', a portrait of Claude Monet, featuring the landscapes in which he worked and of course the realisation of his famous garden at Giverny. 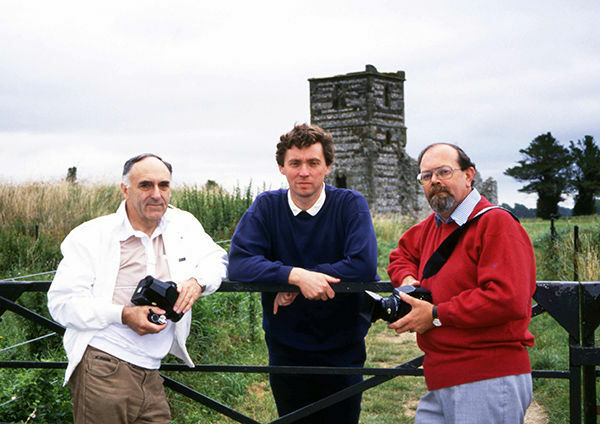 In 1991 I co-photographed with friend Roger Holman and local writer Roger Guttridge on our first book 'The Landscapes of Dorset', followed in 1993 by 'The Villages of Dorset'. Following these publications we soon became known as ‘The Three Rogers’. For a number of years I was commissioned to photograph the grounds and architecture of Canford School near Wimborne and in 2008/2009 I photographed many gardens open to the public throughout the county. These images together with a text written in close participation with the garden owners, was published by Frances Lincoln in April 2010 as 'The Gardens of Dorset'. In June 2015 Amberley Publications released my book 'Cranborne Chase - A Secret Landscape'. This book features one of the most atmospheric and historical landscapes in the south of England and again I was joined in the photography with my long term colleague and friend Roger Holman. Writing and photography is now my main activity with my work on the landscapes of France and the French Impressionists being widely featured in France Magazine. More recent landscape work has been published in Outdoor Photography, Photography Monthly, Dorset Life, Dorset Magazine, Heritage Magazine and the National Trust. In 2018 I self - published a further motor racing book based on my personal experiences at the UK's fastest motor racing circuit - Thruxton in Hampshire. The book 'Thruxton Revisited' was produced in celebration of the circuit's 50th Anniversary and included images from the archives of the British Automobile Racing Club and contributions from various motor racing personalities including racing driver and TV presenter Tiff Needell. I continue to photograph my home county of Dorset and other book projects are under way. I am also creating a new dimension in my photography with the introduction of fine art and abstract images which are proving increasingly popular as wall art.